Good hair days make me feel like I can take over the world! What if I could have a good hair day everyday? 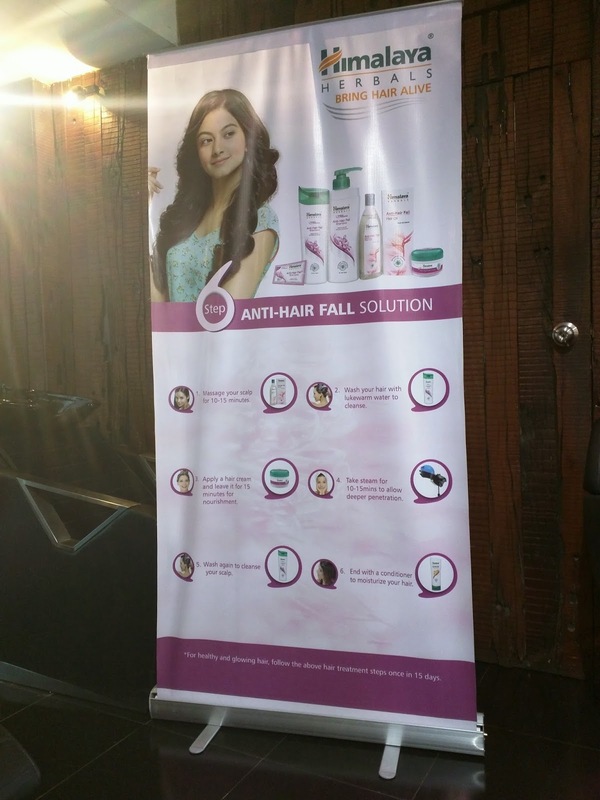 Last Saturday, a few of us bloggers were invited to Asif - The Salon, Lokhandwala for a hair spa experience by Himalaya Herbals. What better way to spend the weekend after a hectic week at work! After travelling for a couple of hours we reached the venue where we were welcomed with a red carpet! There was a team of stylists, photographers and a team from Himalaya awaiting our arrival. I was so not expecting that! I'm a new mom, and my latest hair woes have been hair-fall due to postpartum hormonal imbalance and repeated bouts of dandruff due to climate change. I know I could totally use a hair spa and rejuvenate! I have been a fan of Himalaya products since years now. I swear by their face packs and scrubs. Specially the walnut scrub and neem face wash! And now also using their baby care range. So I had no doubts in trying their hair care range now. 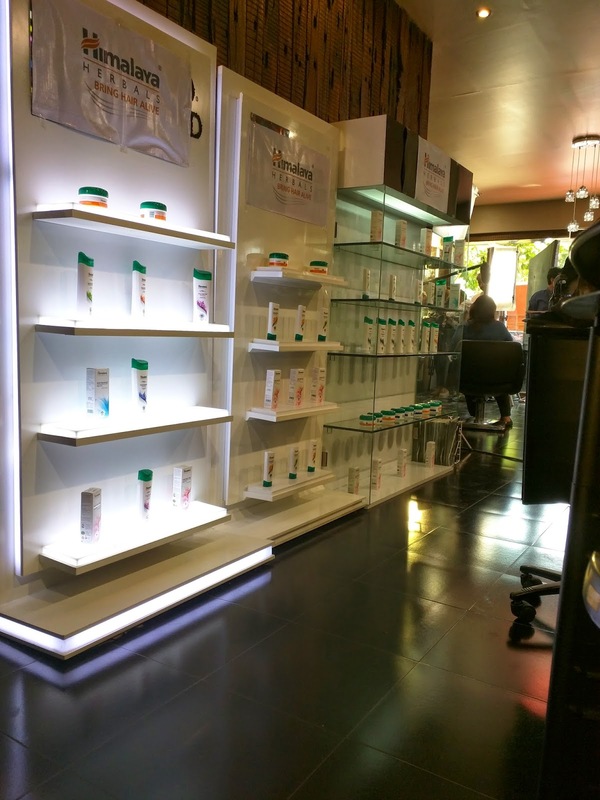 Their range was showcased on the shelves and their team explained to us how the hair care range has gone through a re-branding and how they're constantly researching on what's the best way to use products. They thus have come up with a regime, if followed fortnightly would give great results! They have a anti-hair fall, anti-dandruff and damage repair range. You start with massaging your scalp with oil for 10-15 minutes. Now he used a cotton swab to apply oil on my scalp, and I was like, why have I never thought of this? It gets so messy otherwise and never reaches the roots properly. He also said that there really is no need to leave oil overnight, half an hour is more than enough. Oiling my way to happy shiny hair! Next step is to cleanse the hair with a shampoo, not condition, just wash to get the oil out. I asked him if one needs to shampoo twice in order to remove all the oil? He said that if you leave the shampoo in for ten minutes it will take care of that. So, Yay! You next apply hair cream on the scalp, roots and tips all. Leave this for another 15 minutes so that it can work it's magic. Next you take steam for ten minutes to allow deeper penetration of the hair cream. At home you can use a really hot towel and wrap it around your head. Follow this with washing your hair again with the shampoo, and finishing of with the conditioner. This entire regime takes an hour if followed religiously, but the results are amazing! I'm sure we can spare an hour every 15 days to take care of our mane? I'm definitely going to start doing so! The best part is no need to visit the parlor or she'll out a lot on hair spas! We clicked a few pictures with our happy hair on! It felt like we're celebrities and they're the paparazzi! 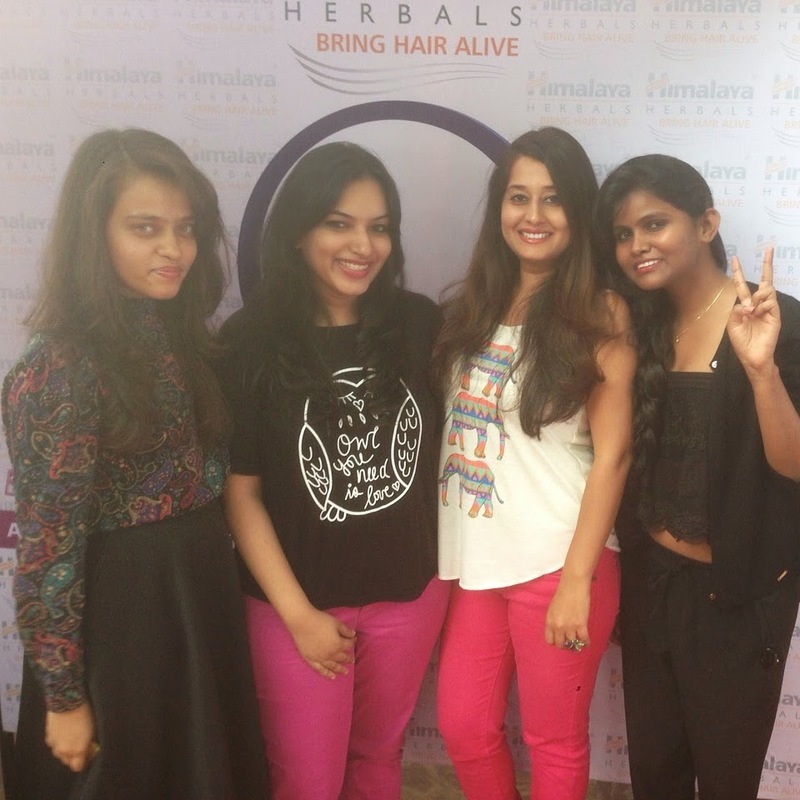 My hair felt shinier, smoother, bouncier; Himalaya wanted to #BringHairAlive? I can safely say, mission accomplished! The happy bloggers after their spa session! 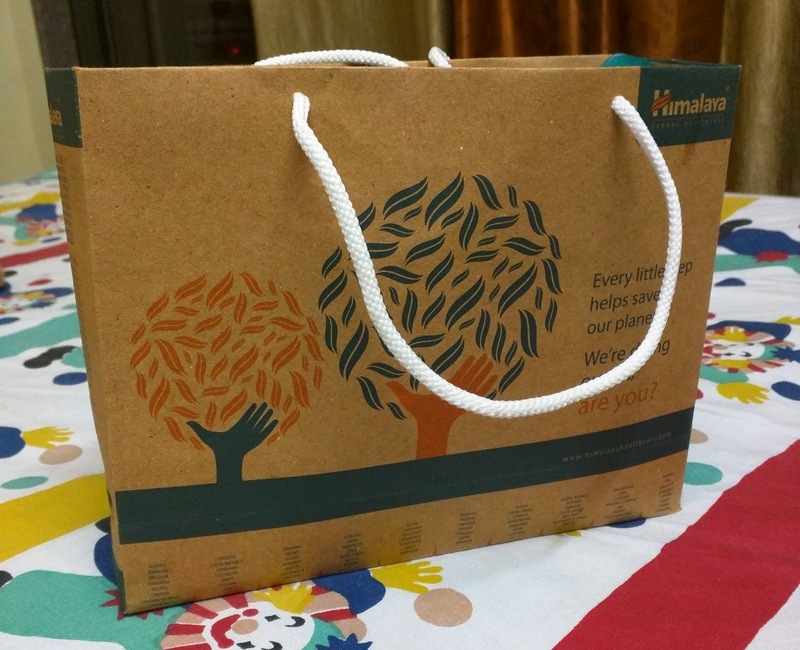 The goodie bag Himalaya gave us consisting of a shampoo, conditioner, hair cream and hair oil. They gave us all a goodie bag with their products! In-fact I now remember that I had once bought and used their Anti-dandruff hair cream but was not happy with the results, but I did not know how to use it then! I now do! I'm definitely going to follow this regime every fortnight, and suggest it to all the females I know! You should absolutely follow Himalaya Herbals on Facebook & Twitter and stay tuned with the latest happenings! Sure, my life isn't perfect, but at-least now my hair is! Disclaimer: This Spa session was sponsored by the digital team for Himalaya Herbals, but my thoughts are not biased.